Any of various aromatic Old World plants of the genus Lavandula, especially L. angustifolia, having clusters of small purplish flowers that yield an oil used in perfumery; The fragrant dried leaves, stems, and flowers of this plant. Lavender is used both externally and internally in healing. Externally the essential oil is used in aromatherapy as a relaxant and to improve mood. Aromatherapy can be facilitated through massage, used in the bath, in potpourri jars, and burned in specially-designed oil burners. Lavender is also used to treat fatigue, restlessness, nervousness, and difficulty sleeping. Lavender oil applied to the forehead and temples is said to ease headache. I love the Lemon Eucalyptus. 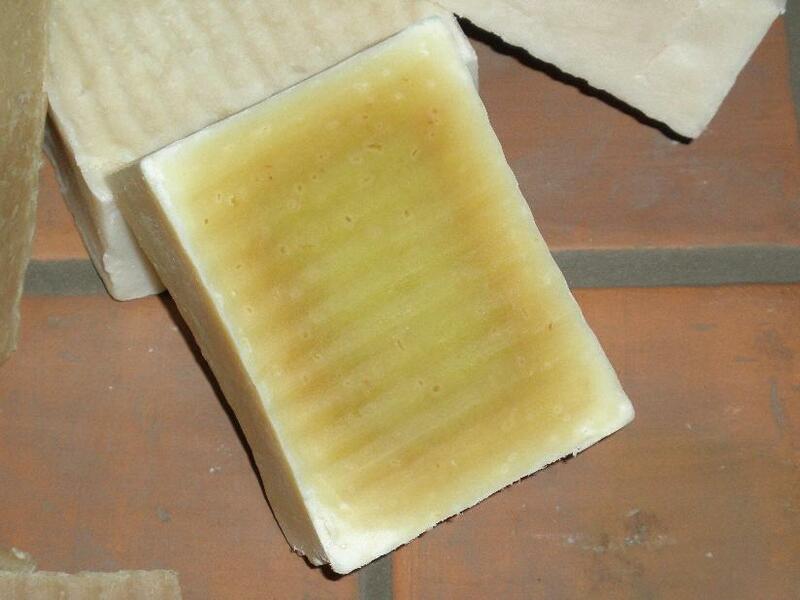 I was so pleased with the product, I purchased over half a dozen other bars for myself and friends in Indianapolis. 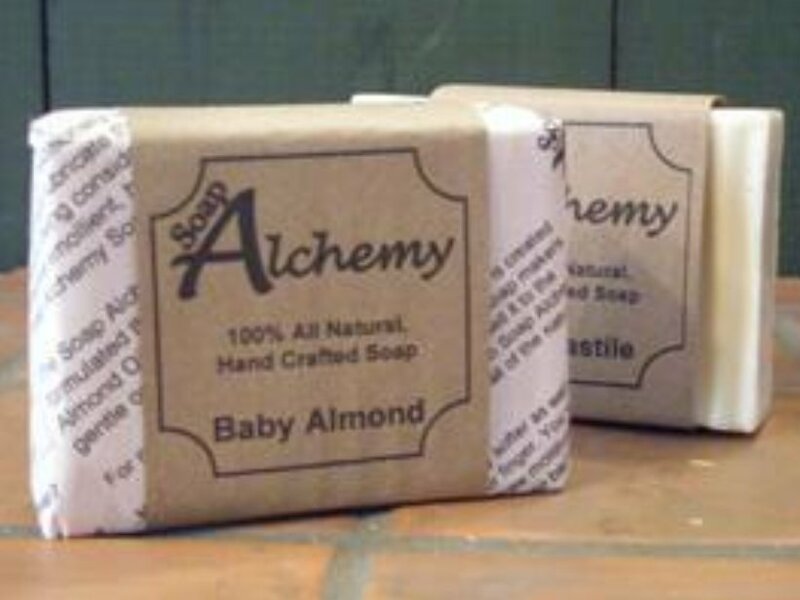 Soap Alchemy Essential Oils are pure grade oils. We don't bottle essential oils and keep them on the shelf, they are bottled at the time of the sale. This gives you the freshest oil possible. The Essential oils we stock are used in our products also. This keeps our supply of essential oils current. We also keep a number of other essential oils on hand for our retail store. In the store, you can mix essential oils to create your own blended essential oil. Cajeput Essential Oil is from Melaleuca leucadendron, steam distilled from the leaves. The scent is milder than Tea Tree, the common melaleuca. Its musty, sweet, penetrating, touch of floral, camphor-like scent. 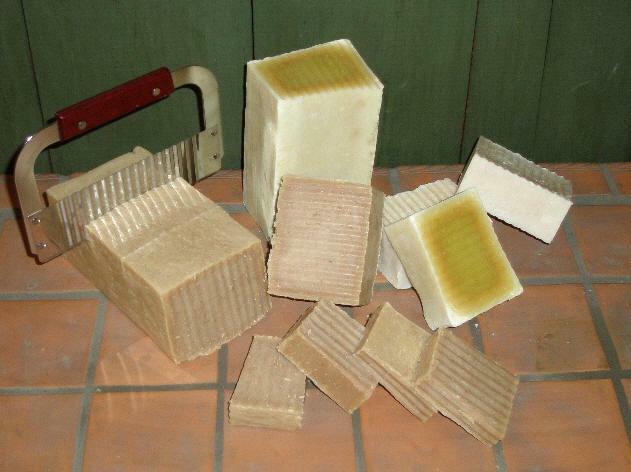 As a Melaleucas, it has great value in skin care and for wound cleansing. Clove Bud Essential Oil, Eugenia caryophyllata, steam distilled from the bud. A rich warm, sweet spicy penetrating aroma, fruity top note, woody base note. Clove Leaf and Clove Stem essential oils are also available. Birch (Betula lenta), Sweet, has a sweet, sharp, camphoraceous scent that is very fresh and similar to Wintergreen. Its main constituent is Methyl Salicylate, an organic ester naturally produced, resulting in its characteristic scent. The tree is native to southern Canada and many parts of the US and now Russia and Europe. The Essential Oil is distilled from the bark of the tree. Methyl salicylate acid is known for its ability to ease aches and pains and reduce fever. Used in candy, drinks as well as rubificants. Care should be exercised as this is in effect asprin. Eucalyptus Globulus Essential Oil is steam distilled from from the leaves of the tree. Also known as Blue Gum, the leaves are gray, more or less round in shape and have the Eucalyptus scent. The scent is camphorous with a woody with what some say is a sweet undertone. Clears the sinuses, can help as a decongestant. Commonly blended with basil, cedarwood, lemon, vetiver, peppermint and clary sage. Eucalyptus Polybractia Essential Oil is steam distilled from wood and leaves. Common to Austrialia. Blue mallee, or Blue-leaved mallee is a deeply rooted perennial tree which has a natural distribution in areas such as the Mallee regions of Victoria, hence the common name Blue Mallee. The leaves are narrow-lanceolate in shape, a gray green color. The scent is fresh, camphoraceous aroma with a faint peppermint undertone. The Blue Mallee Oil has the highest Cineol content, as well as Eucalyptol, which is antiseptic, and therefore the strongest antiseptics among the Eucalyptus. Some people use it to combat the effects of colds and flu. Eucalyptus Radiata Essential Oil, steam distilled from the leaves, has a crisp, clean, camphoraceous aroma with back notes of citrus/floral. Eucalyptus Radiata can have strong antiseptic properties, thus has been popularly used to relieve colds and congestion. Eucalyptus Radiata is preferred over Eucalyptus Globulus because it is less harsh, more pleasant to inhale, and less likely to irritate the skin. It has also been used on sore muscles and joints as well as an antiseptic. French Lavender is grown at in fields high above sea level, giving it a different aroma. French Lavender is floral, herbaceous, light with woody undertones. The scent can change slightly from year to year due to weather conditions. Lavender is from Lavandula officinalis, the flowers. There are quite a number of different Lavenders available. This lavender has been standardized to what is called 40/42. It is the lavender that most people think of as lavender. Likewise, because it has been standardized, the scent does not change from year to year as it does with other essential oils. The 40/42 indicate the linalyl acetate content, and the standardization is done by blending lavender oils to reach the standard. 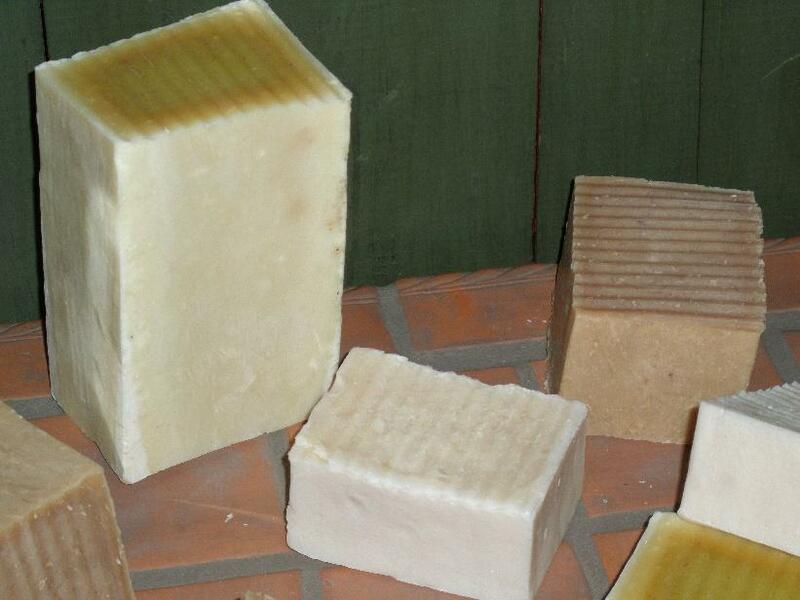 The scent is floral, herbaceous, light with woody undertones, pleasant, calming and relaxing. Menthol Crystals are clear and colorless, with an odor resembling that of peppermint. The crystals are soluble in alcohol, essential oils and vegetable/nut oils, but almost insoluble in water and glycerin. If you need to mix with water, use of Polysorbate 20 is recommended. Melting point 41 C to 44 C (105.8 F to 111.2 F), boils at 212 C (413.6 F). Menthol crystals start to evaporate at 21 C (70 F). The crystals contains not less than 99.4% menthol. Do not handle Menthol Crystals without gloves. Take extra care to not touch any skin. Menthol will produce a cooling sensation which if applied directly can be extremely intense. Menthol is used in many OTC products, such as tiger balm. Niaouli, Citrus aurantium L., is distilled from the flower. Naiouli is bitter orange and the essential oil is distilled from the white flowers. It has a bitter sweet floral fragrance. Ylang Ylang, Cananga odorata, distilled from the flower. Ylang Ylang comes in 4 different distillations, Extra, I, II, III. Our Ylang Ylang is III, a rich pleasant sweet heady floral scent. Palmarosa Essential Oil, Cymbopogon martinii, steam distilled from the leaf and grass. The aroma is floral, herbaceous, perhaps with a hint of rose and powder. Patchouli Essential Oil, Pogostemon patchouli, is distilled from the leaf. Aroma is strong, earthy, smoky, spicy and musky scent, popular in the 1960's and recently regaining popularity. In the Mint Family, it grows 2 to 3 feet high, a perennial, require warm climate but not direct sunlight. Patchouli is commonly distilled in iron, giving the oil its dark color, where as distilled in stainless steel, it will be clear. Patchouli is one of the essential oils whose aroma becomes deeper as it ages. 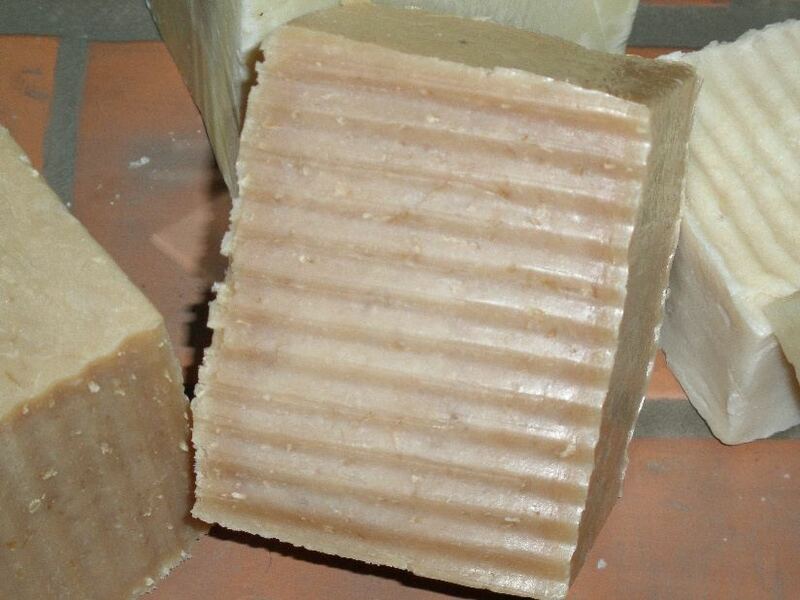 Aged Patchouli gives the deepest richest scent. Peppermint, Mentha piperita, steam distilled from the leafs, aroma is strongly piercing, refreshing, minty and very herbaceous. Our Peppermint Essential Oil is from Yakima, Washington, one of the highest quality peppermint oils available. Rose Geranium essential oil, Pelargonium graveolens, is distilled from the leaf. Scent is heavy, sweet rose like with minty overtone. Commonly used for a rose scent as a true rose costs thousands of dollars. Rosewood essential oil, Aniba rosaeodora, is steam distilled from the wood. The aroma is wood, sweet, floral and faintly spicey. A truely beautiful scent. From Brazil, Rosewood is controlled because the wood and the essential oil are higly valued and need to be protected. Sage Dalmation essential oil is the sage typically used in cooking, Salvia officinalis L.. Distilled from the leaves of the sage plant. Aroma is sharp, camphorous, clear, and herbal. See also Clary Sage. Spruce Essential Oil is distilled from the branches and needles of Tsuga canadensi. Aroma is fresh pine, think walking in a pine forest. Sweet Orange Essential Oil, Citrus sinensis var. dulcis, is Cold Pressed from the Peel of Oranges grown in USA. This is a multiple distilled process creating a strong Orange Citrus scent while removing by unwanted components of the essential oil. Extended distillation, terpenes are removed from the oil rendering more suitable for cosmetic applications. The oil is Orange and has the potential to stain. Should never be applied directly. Can be used as a cleaning agent to disolve other oils, grease and grim. Sweet, rich Orange Scent. Tea Tree, Melaleuca alternifolia, Pure Aromatherapy Grade Essential Oil, is steam distilled from leaf and twigs. Fresh and antiseptic, rather pungent aroma, some might characterize it as medicinal. Considered antibiotic, antiseptic, antiviral, bactericide, cicatrizant, expectorant, fungicide, insecticide and sudorific. Although it may cause irritation on sensitive areas of skin, along with Lavender it is just about the only oil that many recommend to be used neat or straight from the bottle without dilution. Not for use on cats and birds.